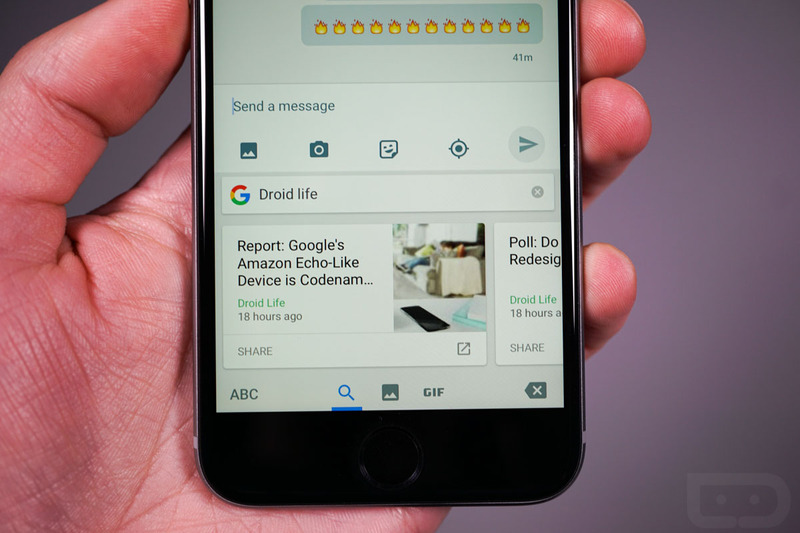 Google released an iOS-only app today called Gboard, a keyboard replacement that does one thing no other keyboard currently does – put the power of Google Search inside of every single app. To say that we are a bit jealous of iOS users right now would probably be an understatement, because this idea of having Google inside of a keyboard is brilliant. Sure, the app or feature will more than likely come to Android at some point, but we don’t know when. For now, this is another case of iOS users having all the fun. Since I still happen to have an iPhone 6 lying around these parts, I decided to take Gboard for a spin and share with you the beauty of such a feature. Not to put an additional downer on your day, but yeah, it’s pretty awesome. In the video below, you’ll see how easily you can share restaurant info, sports scores, funny new YouTube videos, definitions of words, and of course, all the fire emoji one can handle.